Spring has been teasing us for several weeks now, although winter won this week with that glorious snowfall Sunday night. In anticipation, the kids and I decided to make our first ever seasonal nature table. 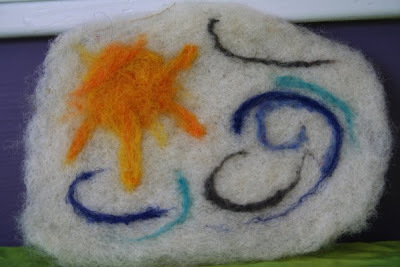 The first thing I needle felted for the table was a flat piece of the warming sun and lion-like winds of March. I'm not sure if I was very effective though because no one seems to identify the wind as wind. Finn's 2 favorite pieces are the chick and the sheep. He's been playing with them since the moment they were complete, although I think he's a little confused because the chick keeps saying quack. I'm not sure how spring would be well represented without some flowers. A black-eyed-susan and a poppy adorn our spring. When in Finn's hands, the sheep and chick keep giving the flowers to one another. Yesterday afternoon during my lunch hour, I decided to quickly piece this spring fairy out of scrap silk. She does a great job watching over the table. Yes, that's a random (long-nosed) hedgehog you see on the spring table. Are hedgehogs spring animals? I don't know, but Paulie thought he was necessary. I'm sure this is only the beginning, but felting these spring animals has been a fun endeavor over the last week. Come soon, spring! 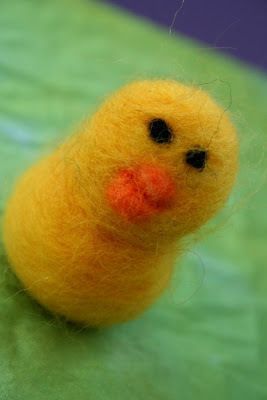 cute, cute little felted creatures. i hope your spring nature table does the trick - it is so cold and there is still lots of snow on the ground in my town. i hope the warmer days are around the corner. 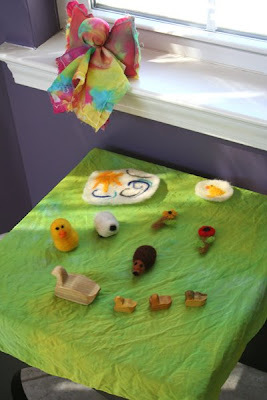 That is such a cute little spring nature table you made! 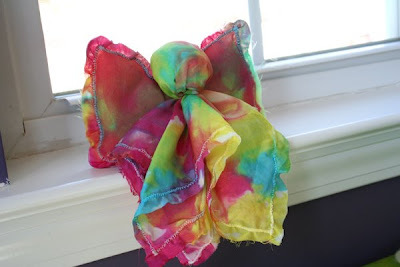 I've been wanting to make a little fairy out of silk...I love the way it looks with the tie dyed colors. I love looking at nature tables...I could just about bring a handful of dirt onto mine since I'm so pleased to see it! 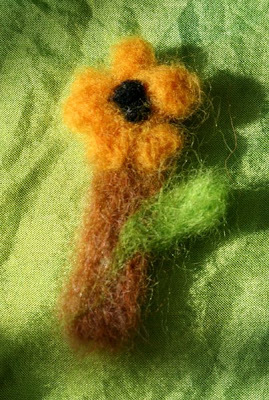 That needle felting is all so lovely! 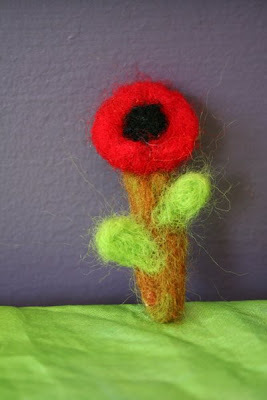 Love the felting! I think the wind is gorgeous. 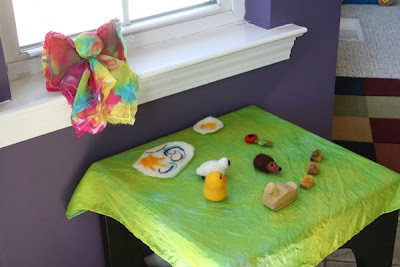 I've been meaning to start felting - it looks like so much fun. I've only done one nature table. I need to put it higher for this phase in our family life. If I lived in England, I'm pretty sure I'd have one that lived in my pocket! 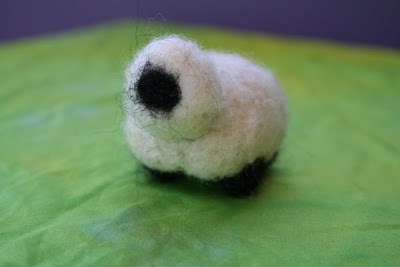 Oh, and the sheep is adorble, and it loks like wind to me! Beautiful needle felted animals, I love the hedgehog, he is so cute!